Mang Den is situated on about 1100m -1400m above the height of the sea level, Mang Den still is a wild area with primary pine forests, very nice climate around 18-20 degree Celsius at the daytime. 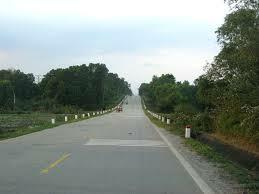 Around 50km from Kon Tum to Quang Ngai ( on the South East China coast) via National Highway 24, on the top of Mang Den Pass, there is a plain which the Ethnic language means “Mang” and “Den” means a residential area. Mang Den possesses many lakes and waterfall that made it more beautiful and romantic. Due to the famers, the water and climate in Mang Den is suitable for raising the Salmon fish. Today, the Viet Nam Tourism Department and the local Government were plant for Mang Den to become a tourist Area which connects the coast to Highlands. This project is on processing with many villas as restaurants and accommodation.